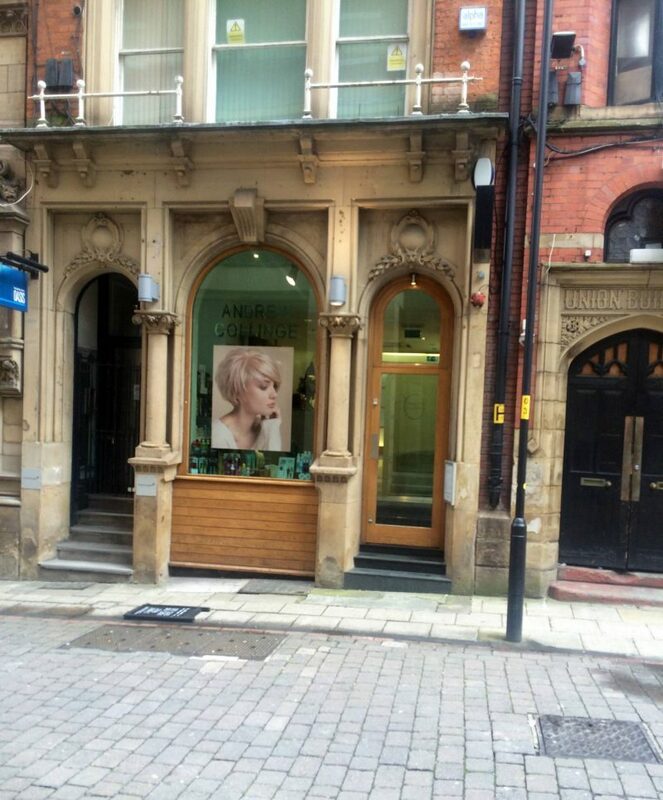 With being a Manchester beauty blogger, I regularly get asked for hair and beauty recommendations in and around Manchester City Centre. 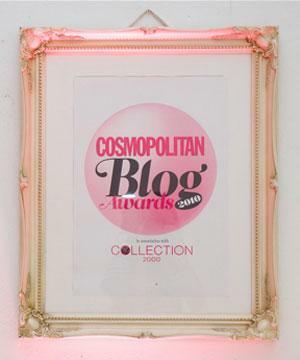 When it comes to Beauty, I can list salons and spas from the top of my head, sharing my favourite nail, tanning and facial specialists. However, when it comes to hairdressers, I always pause. I’ve been having a girl come to my house for a while due to the fact I was yet to be over impressed with a Manchester salon. 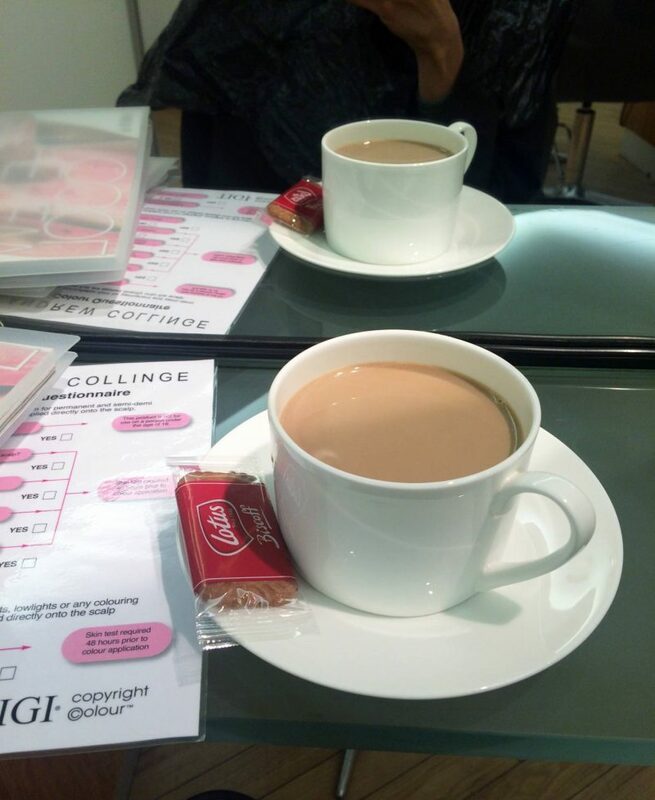 Firstly, the salon itself is so lovely and welcoming. It looks classic and premium upon entering, and I was greeted by two very helpful stylists. 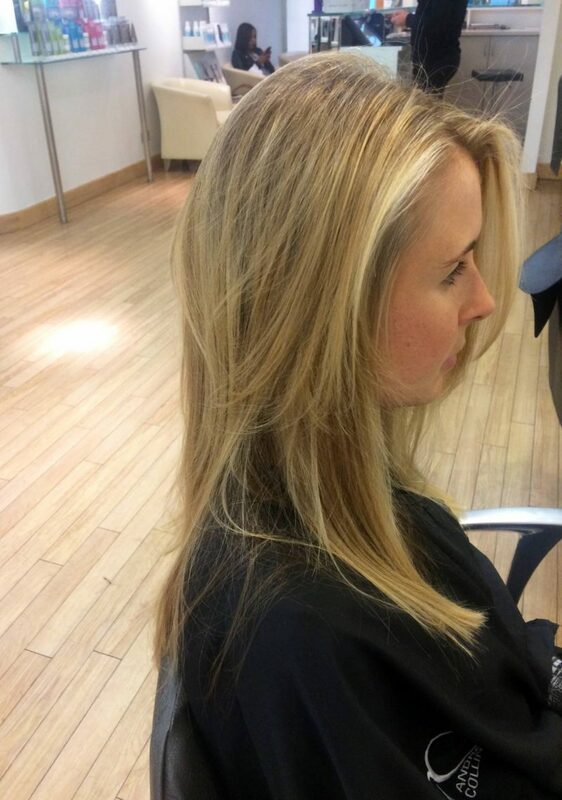 My dedicated stylist then took to me to a seat and went to an extensive consultation, to uncover my perfect blonde. If there are any blondies reading this, you’ll know there is more to ‘blonde’ than just ‘blonde’. There’s platinum, silver, honey, golden, caramel tones…. the list is endless. Personally for me, I like it bright and clean, but with a touch of warmth. 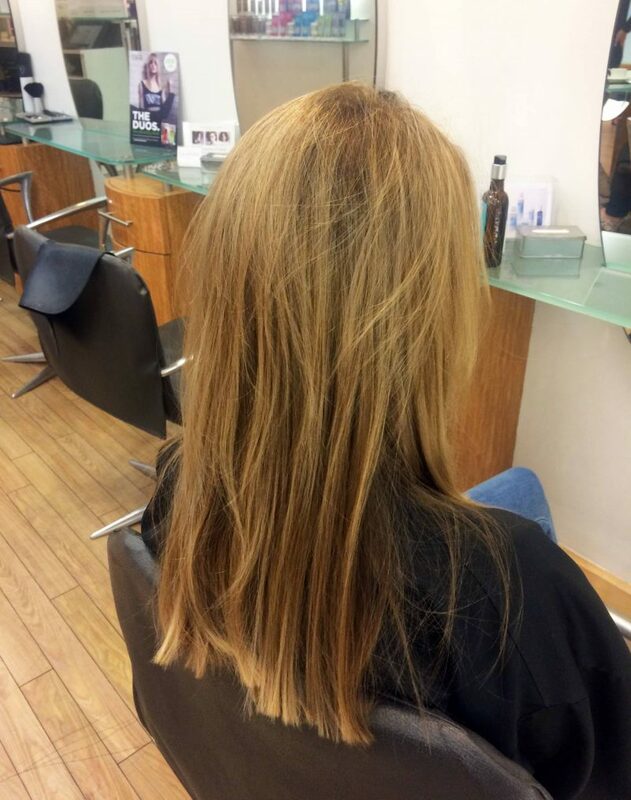 My stylist advised some soft warm tones mixed with a brighter blonde, giving my over all colour a lighter feel – but not too much lighter. If that makes sense! 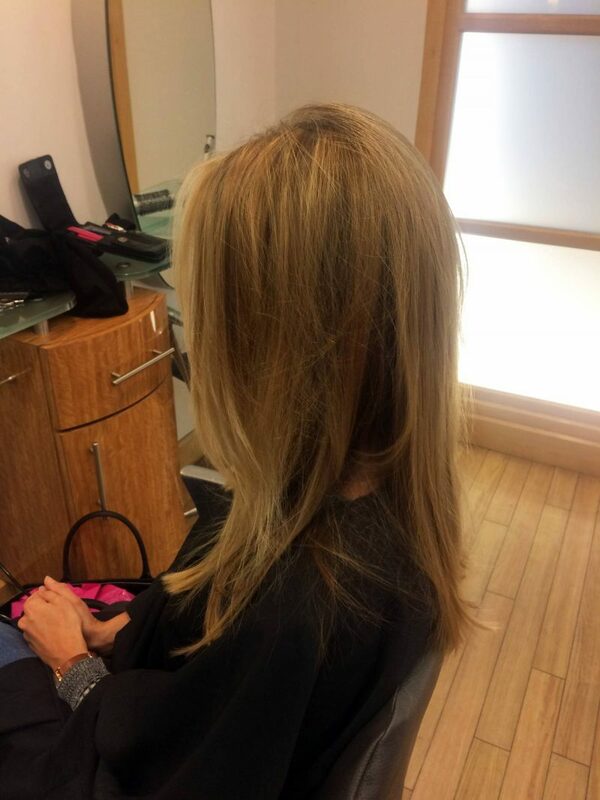 My stylist was extremely professional, pulling the highlights through in complimenting shades, using super fine strands so that the colours all blend together. She then took me to the backwash and gave my hair a toner and a treatment, before giving me a fresh cut to help my hair look healthier. 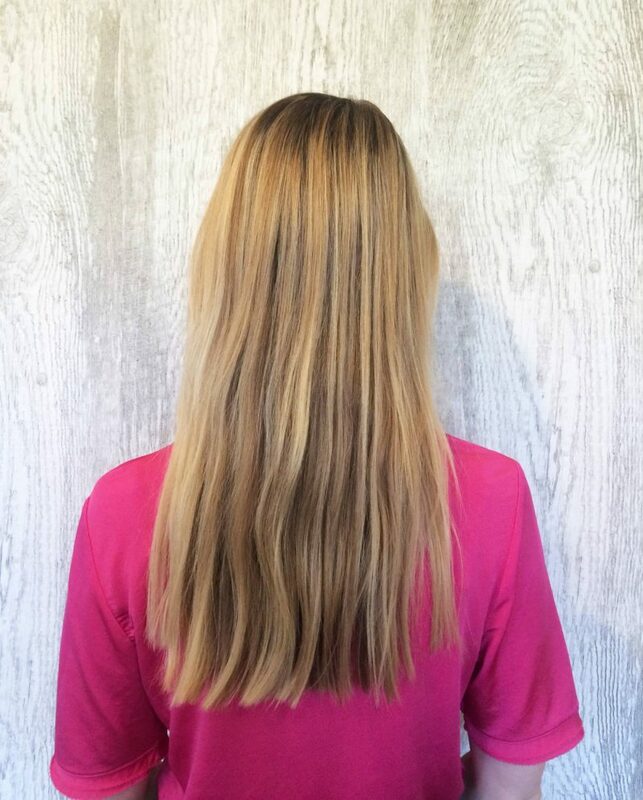 I went for a good 2 inches chopped off, with a blunt finish to give my hair that thicker, fuller look. 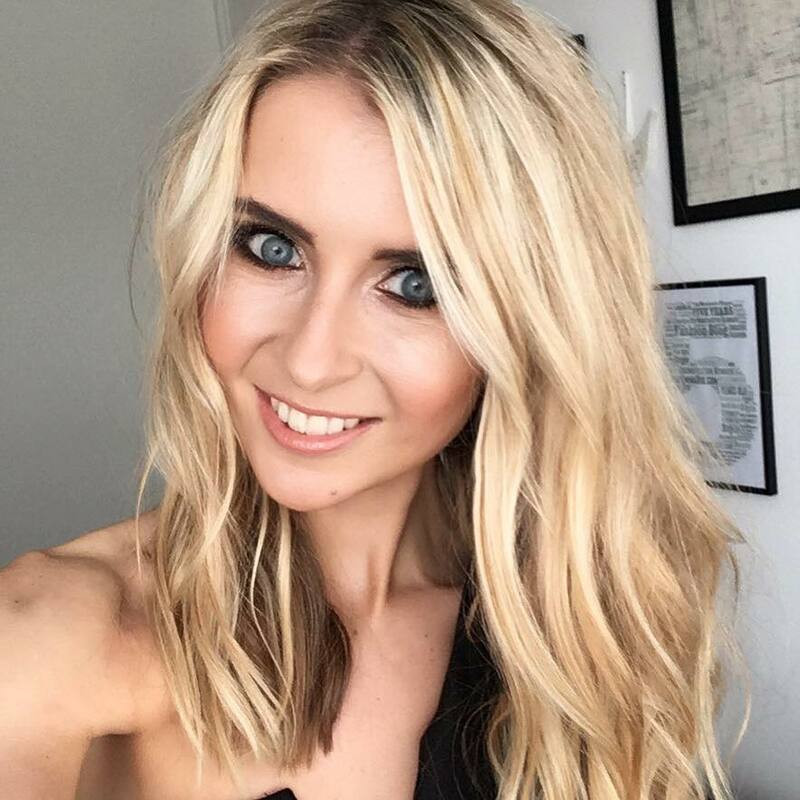 I’ve received so many compliments from friends and colleagues about how natural my blonde looks. It’s subtle enough, yet bright enough, for me to feel like a bold blondie. I’ll be returning here for sure!